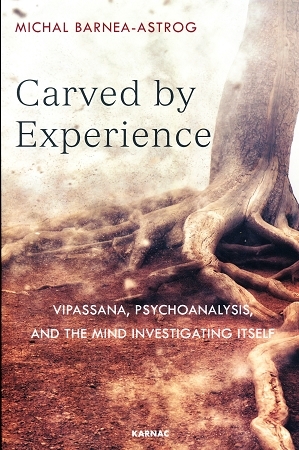 Carved by Experience is a close look through psychoanalysis and Buddhism into the mind's most basic conditioning: to crave the pleasant and reject the unpleasant. Drawing upon the rich literature concerning projective mechanisms, Buddhist concepts such as kamma (karma) and conditioned arising, personal stories, and real-life situations, the book follows the manner in which this conditioning takes part in the way we experience reality, perceive it, and react to it. It explores the self-reinforcing habitual patterns formed by this conditioning, and the way they are reproduced across various relationships and situations, thus building our own virtual realities and personal prisons. But the discussion soon transcends the seemingly fixed boundaries of the individual mind. It reveals their fluid and relative nature, and shows how mental pain spills out of the psyche into the interpersonal sphere, where it affects the minds of others. While addressing these issues, the book examines the special role of body sensations in the complex fabric of the human mind, and the manner in which Vipassana meditation harnesses this aspect of experience for the sake of investigating suffering and untangling it. All along, the existential paradox that we humans are subject to emerges, namely, that we have no other instrument for studying ourselves but our own shrouded minds; and it is only through those very minds that we can subvert the subjective point of view that obstructs them, unravel the conditionings in which we are captured, and break the vicious circle of producing misery and spreading it. This doctoral analysis between freudian psychology and vipassana meditation has great insights. In Freudian psychology stress is created by pleasant motivations to proceed further whereas in vipassana meditation the emphasis is a step beyond, understanding that beyond the impulse of gratification, there follows suffering. Beyond cause and effect, Michal Barnea-Astrog clarifies that vipassana has more to offer, than pleasant sensations - namely understanding that whatever doesn't last leads to disenchantment and freedom from suffering. It is a fascinating book that blends psychological research with Vipassana. The psychological is very much in depth. It will need to be read multiple times to grasp the concepts. However, it nicely complements with regular meditation.